Pistachio Crusted Salmon and the Kitchen of My Dreams - Home. Made. Interest. 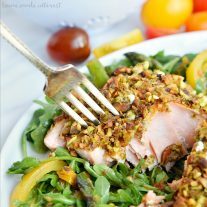 This simple Pistachio Crusted Salmon recipe is elegant enough for a dinner party and easy enough for a weeknight dinner. I spend a lot of time in my kitchen. Even before I was a food blogger the kitchen was my happy place. Creating new recipes, and making recipes that have been passed down through my family is my own version of shutting the bathroom door and taking a long bubble bath. It just makes me feel good and totally re-energizes me. These days I spend even more time in my kitchen trying out new recipes like today’s Pistachio Crusted Salmon, and snapping pics to share with you guys and while I love cooking up awesome stuff I don’t love how my kitchen looks. I spend a lot of time fantasizing about how I would renovate it. Am I the only one? I need more space, more light, and new appliances! I have it all planned out. 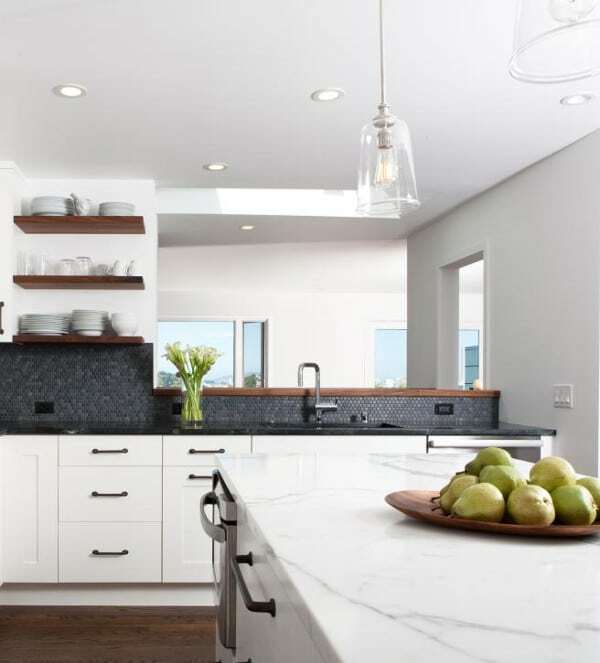 Light gray walls, white cabinets, dark soapstone countertops, and open shelving. Seriously guys, I really think about this nonstop. Our appliances are all as old as the house so they need to be replaces and ever since I saw the new GE Slate appliances on HGTV I’m been dreaming about them. With all of the entertaining we do I want a new, big refrigerator, and a double oven, not to mention a new dishwasher so I don’t have to waste time worrying about doing dishes after a big party. I’m kind of crazy over the new GE Slate appliances. They are so elegant and they have a stone-inspired finish that gives them a warm natural look that goes with any decorating style. It really appeals to me so much more than the usual stainless steel appliances. Plus they are smudge-proof! 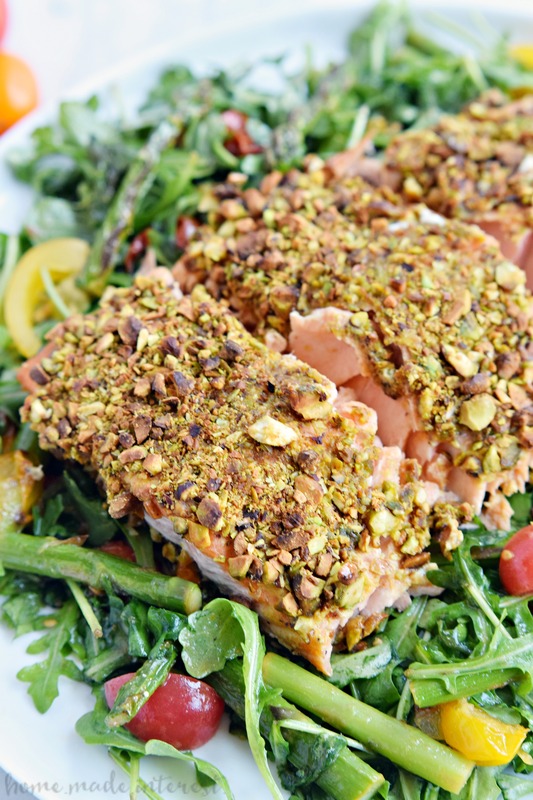 Think how much easier something as simple as today’s Pistachio Crusted Salmon would be if I had more space. The GE Slate French-door Refrigerator would have enough room for me to be able to put a whole side of salmon on one shelf and still have room for all of my prepped vegetables, and all the usual stuff you find in the fridge. It even has a built-in Keurig Brewing System! Hello, no more taking up precious counter space with a coffee maker! And with the GE Slate Double Oven Gas Range I’d finally have a double oven so my Pistachio Crusted Salmon and Roasted Tomato and Asparagus Salad could be done at the same time! 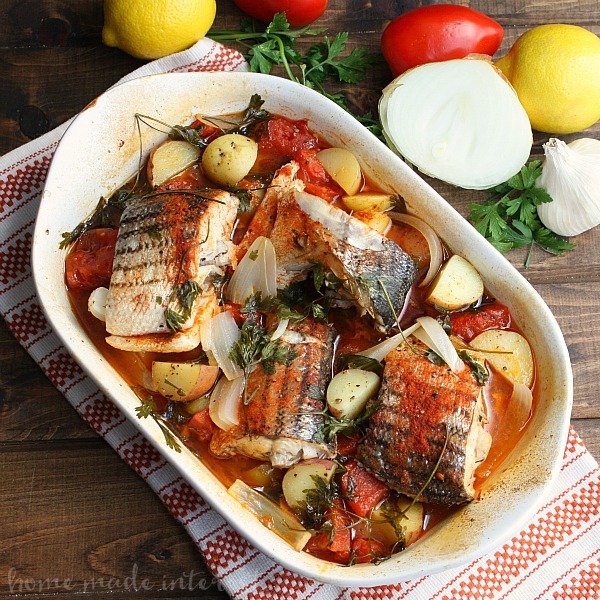 Both of these recipes are so good, especially for a small brunch, or summer dinner party but I’d never made them for a group because with my little oven I’d have to worry about one dish getting cold while I wait for the other one to cook. Alright, enough of my kitchen renovation daydreams. I’ve keep you guys waiting for this recipe too long already. 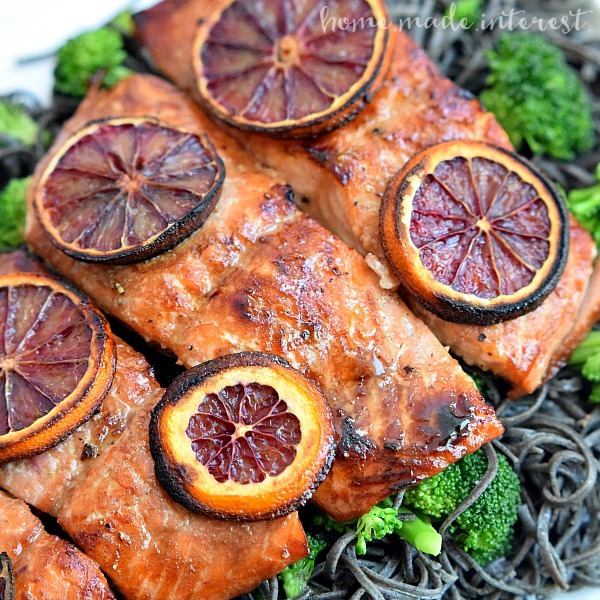 This simple salmon dish is elegant enough for parties and easy enough to make that you can throw it together on a weeknight. If you’re lucky enough to have a GE Slate Double Oven you can even bake it at at the same time as this Roasted Tomato and Asparagus Salad and serve your salmon on a bed of roasted vegetables and greens. I love the extra flavor and texture that the pecans add and the slightly spicy, tangy flavor of the Dijon mustard pairs perfectly with both the salmon and the salad. Lightly salt and pepper both sides of each salmon filet. Add Dijon mustard to each filet and then press the chopped pistachios into the mustard. Place filets on a greased baking sheet or in a greased dish and bake 10-15 minutes, until salmon is tender and flakes easily with a fork. (The general rule of thumb is 10 minutes of cook time per inch of thickness). Do you dream of updating your kitchen too? 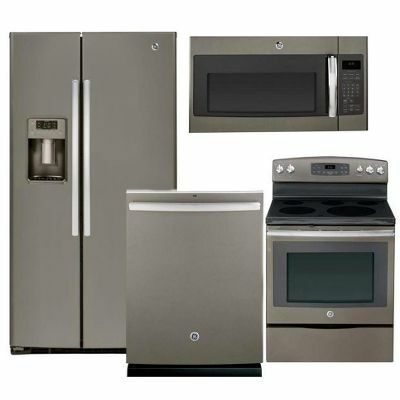 What do you think of the GE Slate appliances?